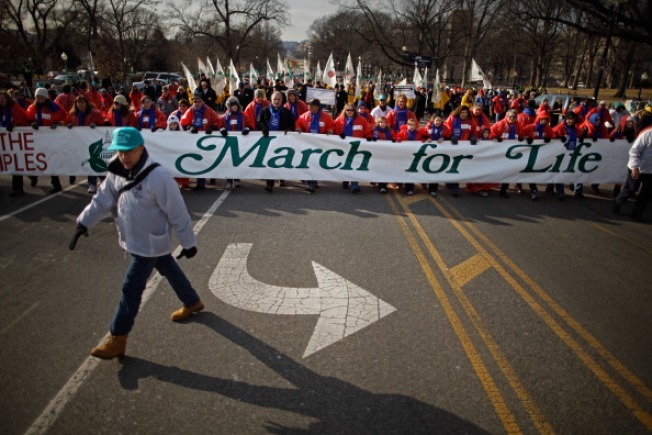 Of all the big marches that come to Washington every year or so, one of the largest and most emotional is the March for Life. Since 1974, tens of thousands of marchers have come to the capital every January to denounce the 1973 Supreme Court ruling that deemed most abortions legal. To many women’s rights groups and others, Roe v. Wade established the right of women to reasonably control their own bodies and put an end, largely, to backroom and unsafe abortions. In a CBS News/New York Times poll last year, 58 percent said they support the court ruling, while 34 percent said it was a bad decision and should be overturned. 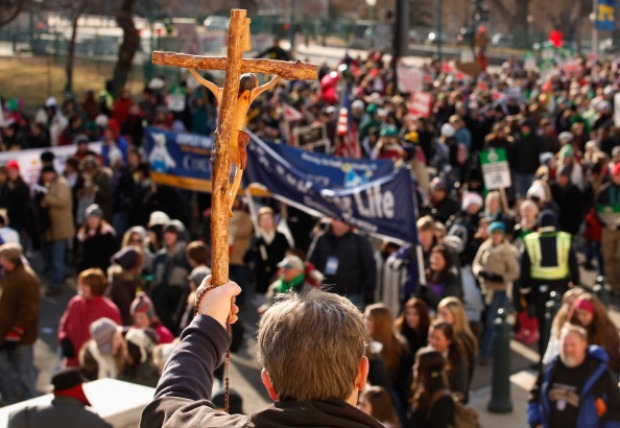 Tom Sherwood reports on the Right to Life March from the National Mall to the steps of the Supreme Court. The abortion issue, barring a dramatic turn, may be an intractable battle for generations. There are firmly held beliefs on all sides. Some people are personally anti-abortion but don’t want to impose their view on all others. Some believe abortion is sometimes necessary, but that it should be limited. Others want to ban all abortions, even to save the life of the mother. 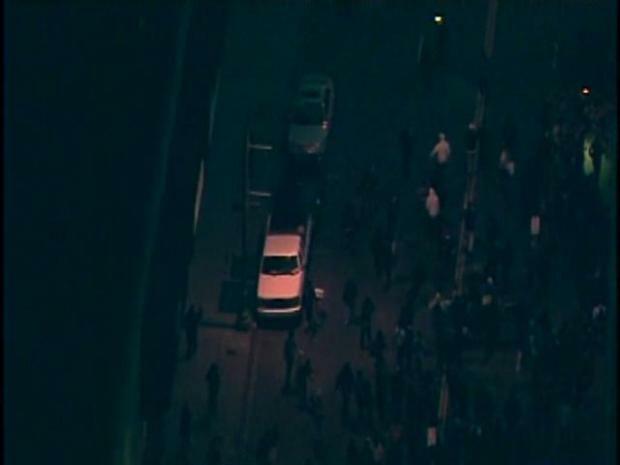 The Notebook covered this year’s march for NBC4. Whatever our personal views, we find the marchers an interesting and passionate group. But it does seem to us that the March for Life gets less press attention than other big gatherings and rallies. There was all sorts of coverage last year for the conservative Glenn Beck rally on Aug. 28 and the follow-up progressive rallies by commentator-comedians Jon Stewart and Stephen Colbert. Maybe the anti-abortion rally, now 38 years old, will be considered less newsworthy until something bigger happens on that political front. But away from our news cameras on this story, we have a more direct and important point about this epic battle over abortion. The citizens of Washington have no voice in the national decisions on abortion one way or another. We have no vote in Congress -- neither in the House, where the issue routinely arises, nor in the Senate, where members pass judgment on Supreme Court nominees who could change the law. Whatever the view of the many marchers who come to Washington to protest or fight for something -- abortion, war, gay rights, disability rights, etc. -- it’s always a little sad to know that as District citizens we are mere spectators when it comes to the big decisions. Mayor Vincent Gray is assembling his economic development team with one big goal in mind: Help create more job opportunities for citizens who desperately want them. Some people are hoping he’ll shake up adult training programs, monitor more closely where the money goes and blow up the bureaucratic barnacles that seem to inhibit the Department of Employment Services. Some have even suggested that Gray do to the department what Adrian Fenty and Michelle Rhee did to the school system. But that may be asking too much. Gray has gotten strong advice from two business leaders in the city, Barbara Lang, D.C. Chamber of Commerce president; and Jim Dinegar, head of the Greater Washington Board of Trade. In a memo to transition members and others, Dinegar outlined some crucial steps on how the District can work more closely with Maryland and Virginia on job creation, job training and improving access to jobs. “By reducing the amount of time people spend driving into and out of the City, the District would stand to retain and attract more businesses demanding ease of access and improvements to quality of life,” he wrote. Recommendations include better synchronization of traffic lights, better use of one-way streets during rush hours and -- the Notebook’s favorite -- traffic control aides to actually keep intersections clear. Other recommendations include eliminating parking on some streets and negotiating some cost sharing with the jurisdictions. We like one-way streets and signal synchronization, but the District has gotten rid of several one-way rush-hour streets. Then-Mayor Marion Barry in the 1980s said the rush-hour streets endangered the people who actually lived on them just to favor commuters who were taking their tax dollars to the suburbs. To grow as a business community and to provide jobs, the city does have to do a better job of managing transportation. Of course, a small commuter tax could be levied, with the money designated for traffic issues. But that’s not going to happen. Ward 3 D.C. Council member Mary Cheh has reintroduced her bill to grade city restaurants and have those grades posted on doors to the premises. But the Restaurant Association Metropolitan Washington has wasted no time firing its big guns at the proposal. It says inspections can be “one-day snapshots” that may not reflect the real record of compliance. It questions whether the city would or should spend money on the number of inspectors needed to do a fair job. “The loser in this … is the restaurant. There are no winners,” the association says. • Arabian Nights for you. Arena Stage in southwest Washington is playing off its current production of “The Arabian Nights” with a chance for you to discuss the musical genre. On Sunday from 12:30 to 1:30 p.m., veteran CBS News personality Sam Litzinger and “Arabian Nights” actor and musician Ronnie Malley are hosting a free discussion on the history of Middle Eastern music, which plays an integral role in the “Arabian Nights” production.